Dhondo Keshav Karve was 104 years, 6 months	& 20 days old age. Dhondo Keshav Karve was born on 18-04-1858 in Dapoli, Ratnagiri in the state of Maharashtra, India. He was an Indian Educationist, Social Worker, Social Reformer & Professor. He studied at Elphinstone College, Mumbai (then known as Bombay) and received a bachelor's degree in mathematics. 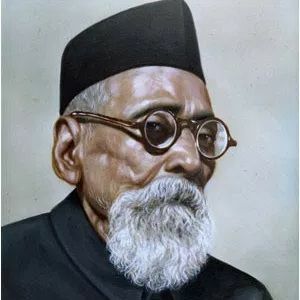 Dhondo Keshav Karve was an eminent Indian social reformer and educator who championed the cause of women education and remarriage of Hindu widows. He was popularly called ‘Maharshi’ which means ‘a great sage’. Thinking way ahead of his time, he understood the primary fault plaguing the orthodox Hindu society, namely the undermined position of Indian women. Hence, to enable their upliftment, he established the Widow Marriage Association in 1893 and set a noble example for others by marrying a widow himself, following the death of his first wife. He also established an educational institution called Hindu Widows Home in Pune to help widows become self-sufficient if they failed to remarry. Literacy of women was one of his primary concerns and hence, he established the Shreemati Nathibai Damodar Thackersey Women’s University, the first university for women in India. Later in his life, he also supported additional causes like the establishment of societies for village primary education, and the abolition of the caste system and untouchability. Karve penned down two autobiographical works: Looking Back in English and tmawrutta in Marathi. On his centenary birthday, he was awarded India’s highest civilian honour, the Bharat Ratna. Dhondo Keshav Karve died on 09-11-1962 in Pune, Maharashtra, India, aged 104.